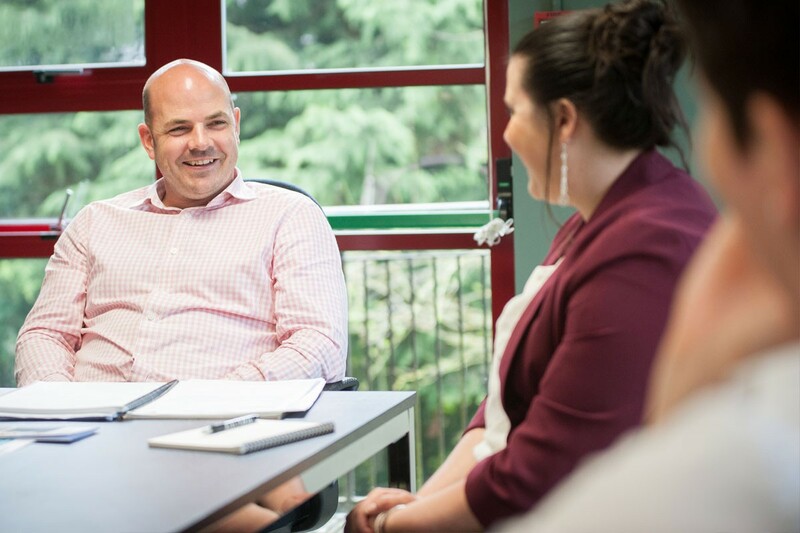 We are an imaginative, ambitious team of accountants continually striving for ways to improve service and streamline processes. Significant investment in technology allows us to use our time together more effectively. Liberated from the traditional number crunching we are able to personally advise, guide, support and review. We present you with an ongoing picture of your financial position in real time meaning you can make plans and decisions with confidence. 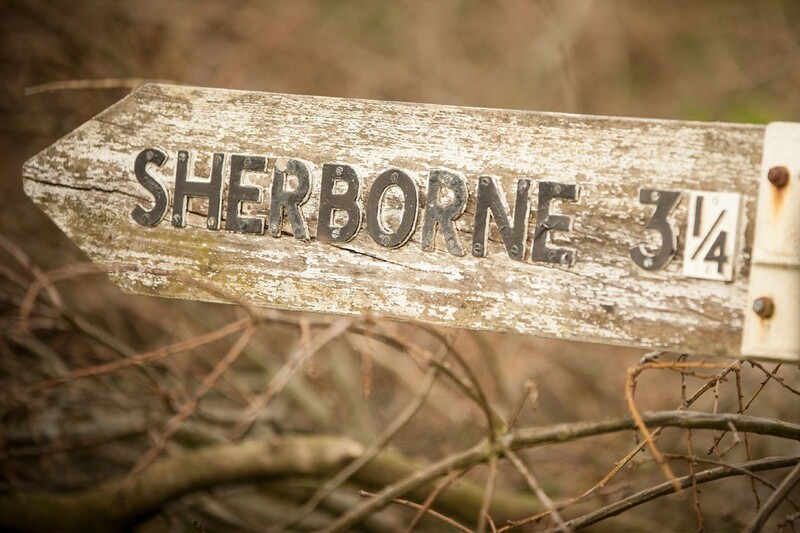 Specialising in businesses of a turnover between £30,000 and £5 million, we take our time to understand the inner workings of your business, scrutinise the detail for even the smallest client and work closely with you to help you achieve your ambitions. Traditionally you may deliver your books and records to your accountant three months after the year end and about a month later your tax position would be calculated. In reality, you would have been unaware of your tax liability during your accounting year and therefore your tax liability would have crystallised at the year-end date. The evolution of cloud technology has enabled us to work closely with our clients and share access to the most up-to-date financial information. 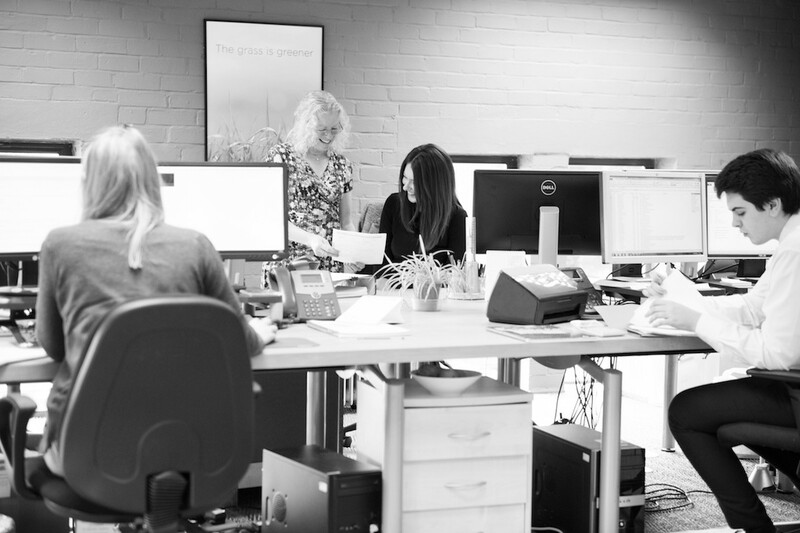 We have therefore heavily invested in our team to provide professional advice on the latest cloud technology to provide you with a relevant, timely financial position. Cloud technology enables us to work closely with you on a quarterly or six-monthly basis to review your tax position during the financial year, enabling us to manage your tax liability not simply reacting to it months after the accounting year has ended. Xero and Quickbooks. Access your account via the buttons below. Whether you are a start up business or an established small to medium sized company, we are here to provide the services you need to complete the full picture of your accounts. We'll help you maximize the potential of your business or new ideas. At Hunts, we go beyond the standard financial reporting compliance. We use the latest accounting software and technologies to produce accurate up-to-date financial information to help our clients make informed timely decisions. We understand that VAT often seems like a burden; the statement of being an "unpaid tax collector" is frequently heard. Although the government have tried to lessen the burden on small and medium sized business’s it still remains that calculating it correctly and delivering the VAT Returns on time takes you a considerable amount of time. We work with clients to help them prepare and submit their VAT Returns, and this can be in conjunction with the book-keeping service. Hunts can also help you choose the right VAT scheme for your business - this decision alone could substantially improve your cash flow and potentially save hundreds of pounds in the amount actually paid to HMRC. In addition it can also significantly reduce the risk of genuine errors made and therefore time and money should you be the subject of HMRC visit. We use a software based system for this which maintains the electronic file facility with Companies House. This means that maintaining and making amendments to your statutory records, filing confirmation statements can be made on a same day basis. Getting the right advice about the structure of your business is crucual, as the business grows we ensure you maximise all available tax allowances and reliefs. We also provide proactive advice if you look to acquire or sell business to ease the pressure that come with this process. With HMRC's new system of penalties or errors, having on of our accountants complete your annual self-assessment tax return on your behalf, can give you peace of mind. 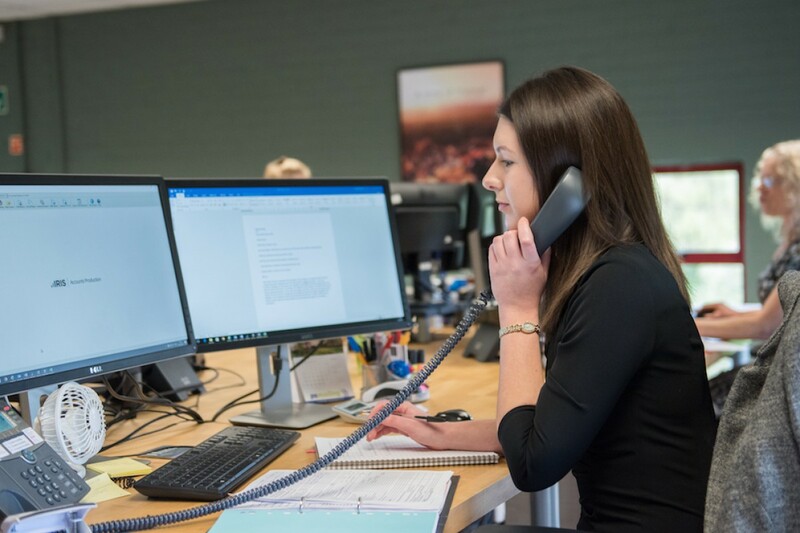 As well as preparing your returns Hunts are here to give advice on maximising your allowances and reliefs, mitigating inheritance tax liabilities and advise on capital gains issues. Investigations are stressful, time-consuming and costly for the party involved. As your Accountant we want to protect you where possible which is why we offer a Fee Protection Insurance service which covers you against the cost of professional fees associated with a tax investigation. The cost for this protection varies according to whether you are a Limited Company, Partnership, Sole Trader or SelfAssessement client. Please contact us for more detail. We have the facility within the office to take instruction from a client in the morning to form a new private limited company, and be able to provide them with the certificate of incorporation with full company registers, memorandum of articles of association by the close of play the same day. The benefits of choosing the right accounting software are considerable: simplifying clients' administrative process and providing relevant, timely and accurate information to you and to us, ensuring we focus on real-time advice, support and planning in a cost efficient way. 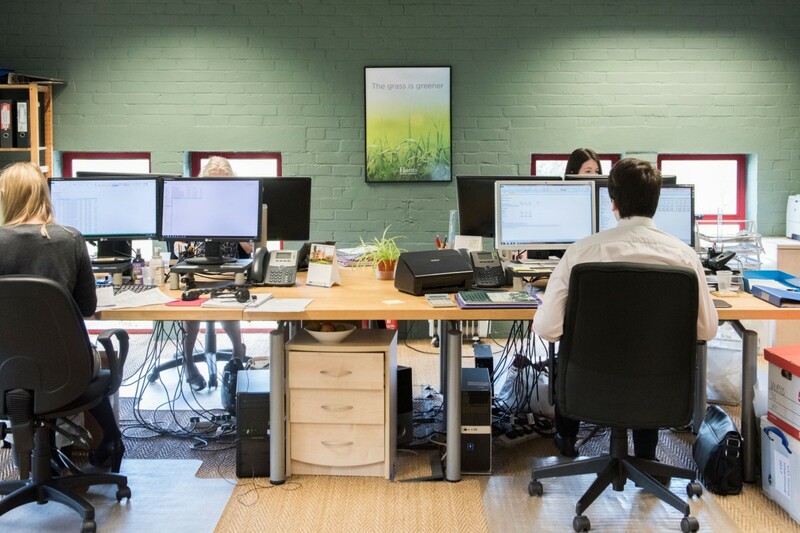 Cloud accounting software has the benefit of enabling our clients and us to work on your accounts jigsaw puzzle in unison: you choose which pieces you do, while we work on the rest, and both parties have access to the full picture in real-time. We work with Quickbooks, Xero and Sage software and are able to integrate these into your accounting services with the provision of practical advice and support.
. Alternatively, simply provide your details here and we will call you back. Our free mobile tax and finance app brings our accounting tool kit to your fingertips, 24/7. Functions include our GPS mileage tracker, latest tax calculators, key tax dates, useful tax tips, and partner links to QuickBooks and Receipt Bank. 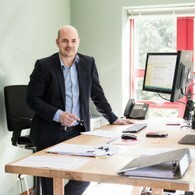 Nick began his accounting career with Yeovil based firm Hunt Wagstaff (no relation), at the tender age of 16. He qualified as a professional accountant within his first 3 years and went on to work with Marshall Beavan in Gillingham. Following a period of time travelling Europe, Nick set up Hunts Accountants in 1998 in Sherborne. 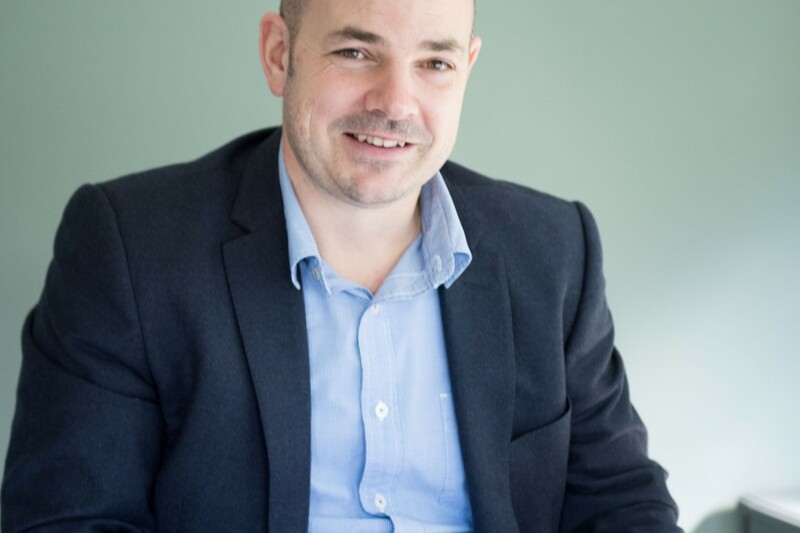 Since then Nick has provided insight, strategy and accounting support to over 1100 clients, serving as accountant bedrock to businesses in Sherborne and throughout Dorset and Somerset. 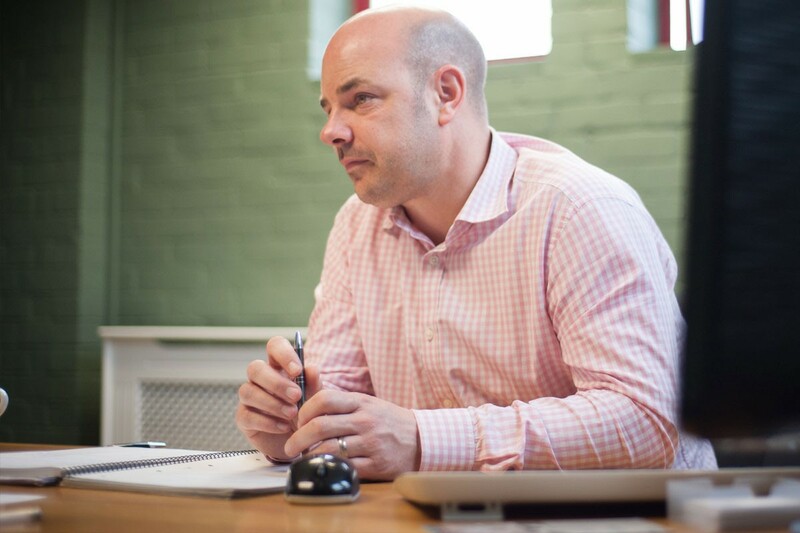 Andrews' industry background gives him excellent insight into how accounts are managed from the client side. Andrew is involved in preparing VAT and Management Accounts across a variety of clients and is a Certified QuickBooks Online Advisor. Originally from Zimbabwe, Emma joined Hunts in 2011. After completing her AAT she was able to leverage her expertise in a Practice Management role. 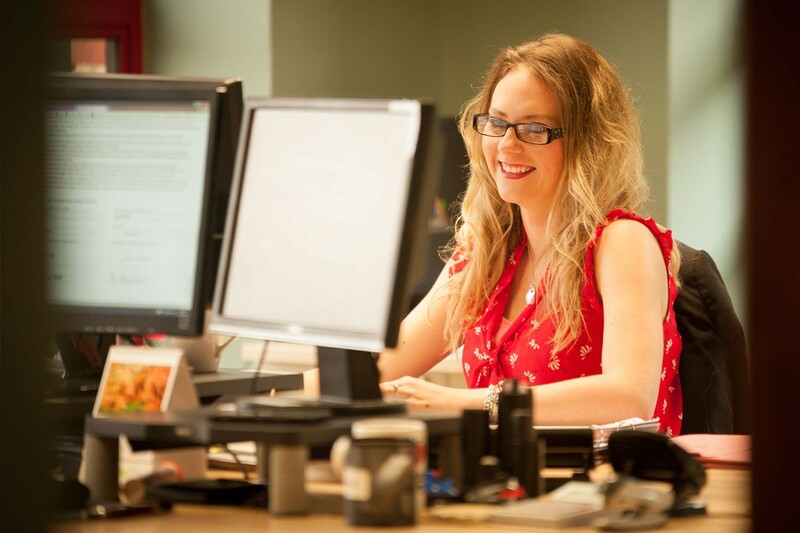 Following a short break on maternity leave Emma returned to Hunts as Business Support Manager. 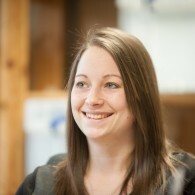 Amy brings to Hunts an assortment of international marketing and project management experience. 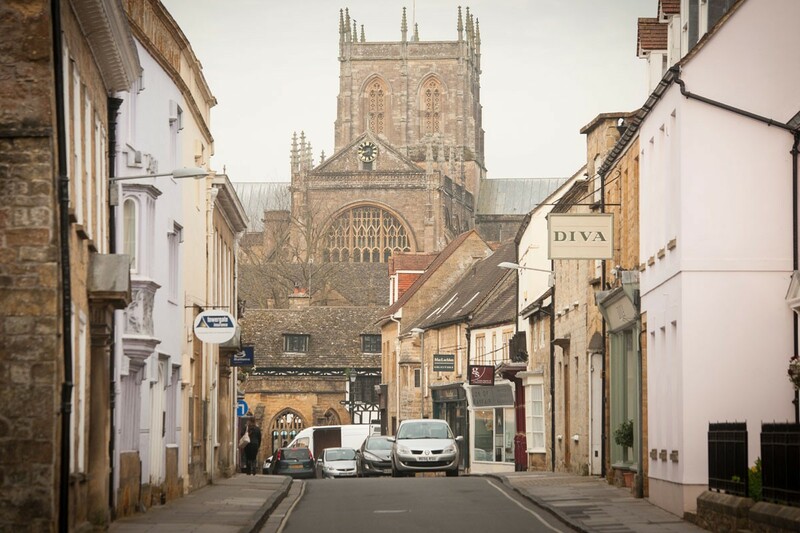 Having worked freelance whilst raising a family, she is enjoying the opportunity with Hunts to work with local clients, businesses and Sherborne Chamber of Trade. 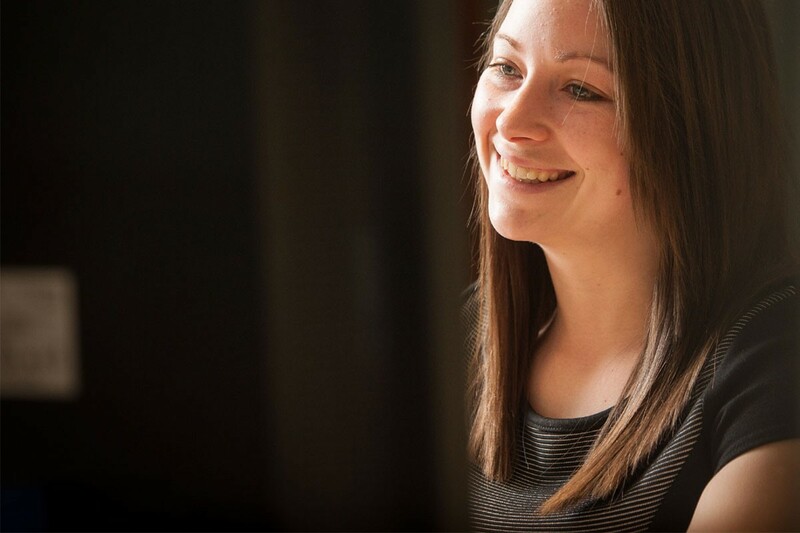 Amy supports across all areas of the business from marketing, HR to administration. 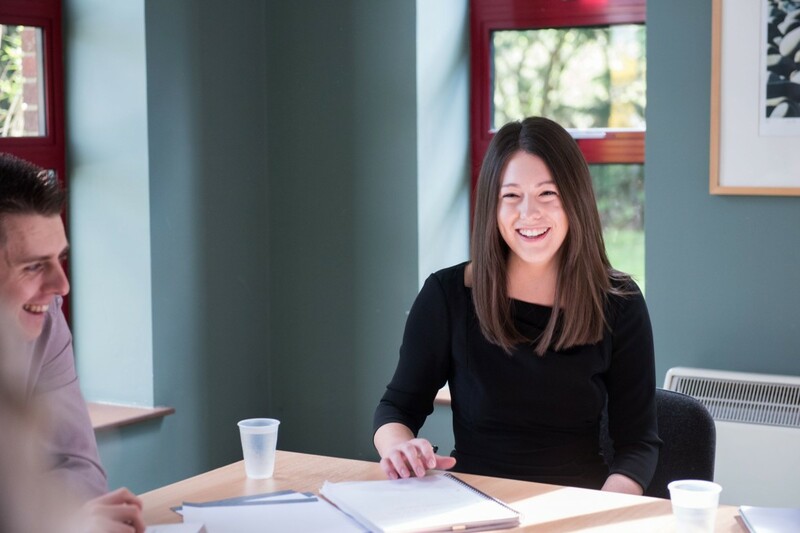 Jenny joined Hunts Accountants in April 2014 and brings with her a wealth of experience. 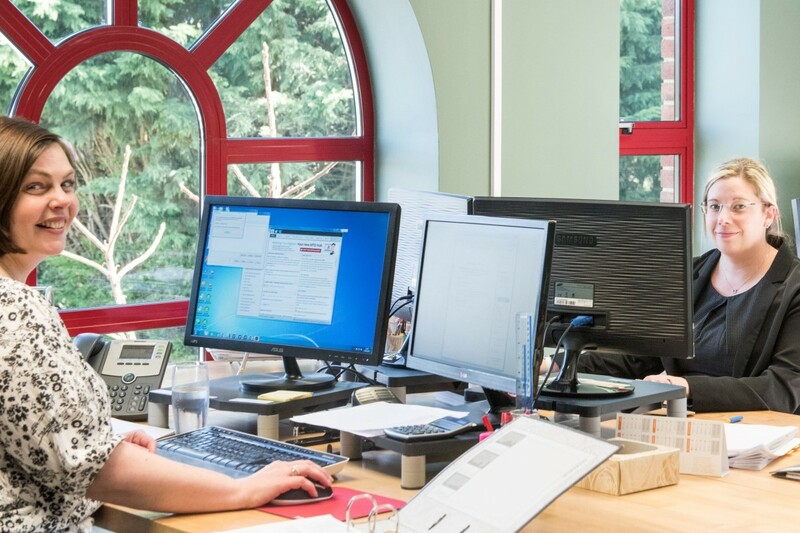 She has worked with a wide range of clients from sole traders to limited companies covering all aspects of accounting from bookkeeping, VAT preparation, payroll, corporation tax and personal tax. Maria completed her AAT qualification before starting a family and went on to practise accounting with her private clients from home. 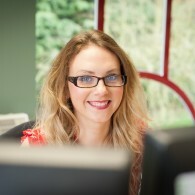 She brings to Hunts invaluable experience in partnerships and sole traders accounts. 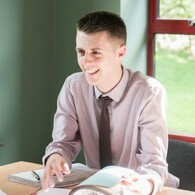 Aaron is an apprentice accountant, working his way through the AAT scheme. When not in the office Aaron loves football and plays in the Dorset league for Gillingham ham Town FC. Luke joined Hunts in 2012 and completed his AAT training whilst with Hunts. He is currently studying towards his ACCA qualification. 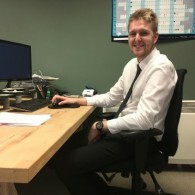 In addition to preparation of clients’ accounts and VAT returns, Luke plays a key role in the implementation of Hunt’s new accounting software technologies. He is our in-house Xero expert and a Quickbooks certified advisor. 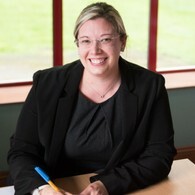 Natasha joined Hunts in 2007 and completed her AAT qualification whilst with us. 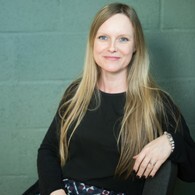 In between time out to have children, Natasha has achieved her fellowship status, and is responsible for client’s accounts preparation, business and personal tax for sole traders, partnerships and limited companies. 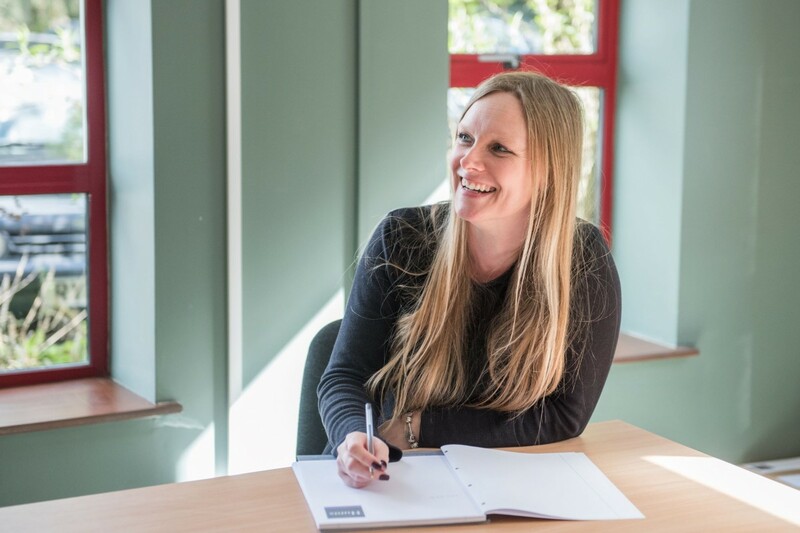 Originally from Torquay, Nicola ensures the smooth running of business administration, bringing a wealth of experience from previous roles, whilst providing payroll assistance to Carolyn. 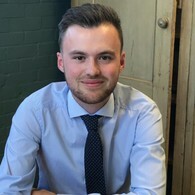 Tom joined Hunts in 2017 after completing his degree in Accounting and Business at Bournemouth University, and is currently working towards his Chartered Certified Accountant status. Tom assists in the preparation of year end and management accounts. Justin joined Hunts after completing his extended diploma in business. 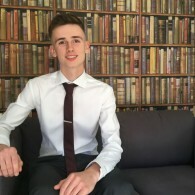 He is on an apprenticeship scheme with us and progressing through his AAT qualification. Carolyn brings years of experience and knowledge to Hunts to run our in-house payroll bureau, managing clients’ auto-enrolment, pensions and much more! Hunts are fantastic accountants that have advised us thoroughly as we have grown from a small start up to a multi million pound turnover company. Always on hand to help and advise, I would thoroughly recommend them to businesses both big and small. 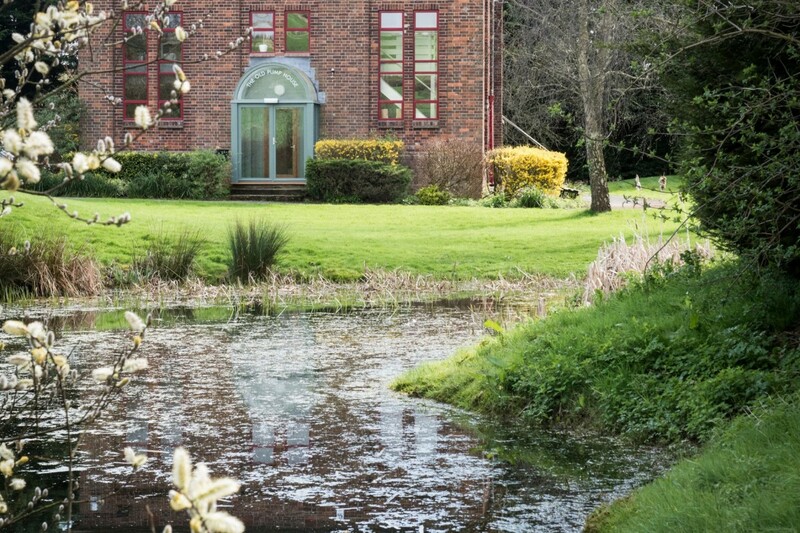 We moved to Hunts accountants last year and it was the best move we have made! The advice we have received has been invaluable, the whole team have been helpful and welcoming with a wealth of knowledge. The software we now use has saved us lots of time and made our lives so much easier-thank you! After 18 years of using Hunts accountants we are as happy as we ever have been. The best thing about Nick and his team (apart from great advice over the years) is that Nick talks our language. It`s been a pleasure watching Hunts grow from strength to strength and I believe that hunts accountants is large enough to support any business large or small. Well done Nick and team and good luck for the future. 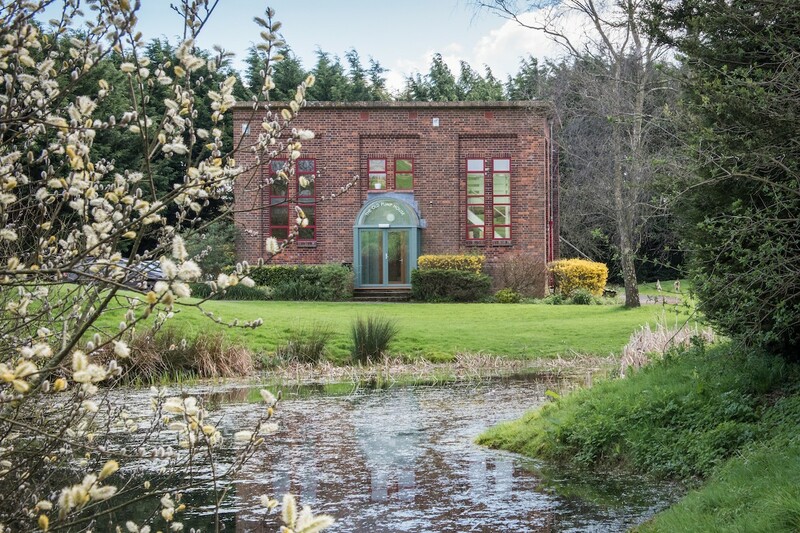 Our role and responsibility with intaconsult is to maintain a long term relationship whilst providing an excellent service and reliable long term support for our clients, and the same applies to intalet, with our clients and their homes, both in the UK and Ireland. We are busy being busy, and we depend on Hunts to keep us on the right path, and see this as a long term partnership, which started in 2006. Nick and his team rock! 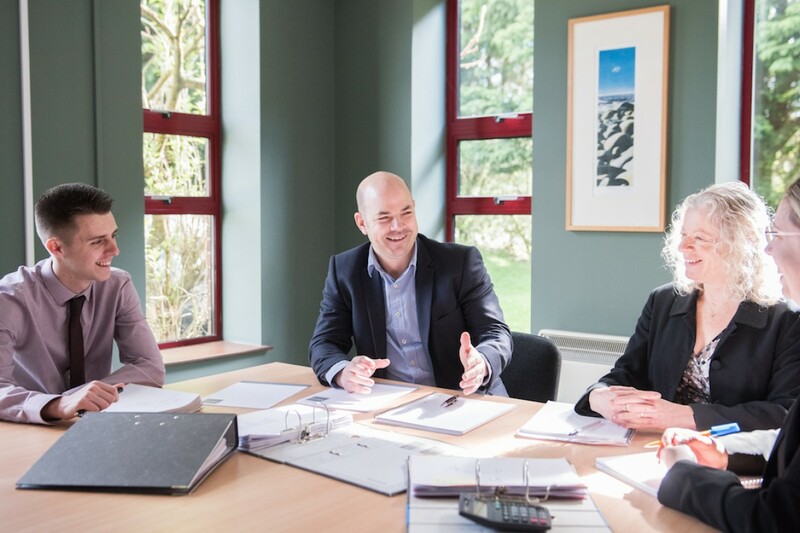 Having worked with Hunts for many years the personal business advice we get is always well considered, and very necessary for a small company, which goes far beyond accountancy. We have been clients of Nick Hunt since 2006. Hunts Accountants are superb. During my time with him, I was a practising Doctor. Professional, accurate, and a very personal service. Always helpful and prompt in response. Some accountants speak solely in numbers. Nick's language is different; he absolutely knows his numbers of course but he also listens, he makes sensible workable suggestions and his guidance is invaluable. That's why I think of him as part of my team. From day one Nick and his team have made us feel important and not just another client. With Hunts in our corner we have seen huge growth within our company. 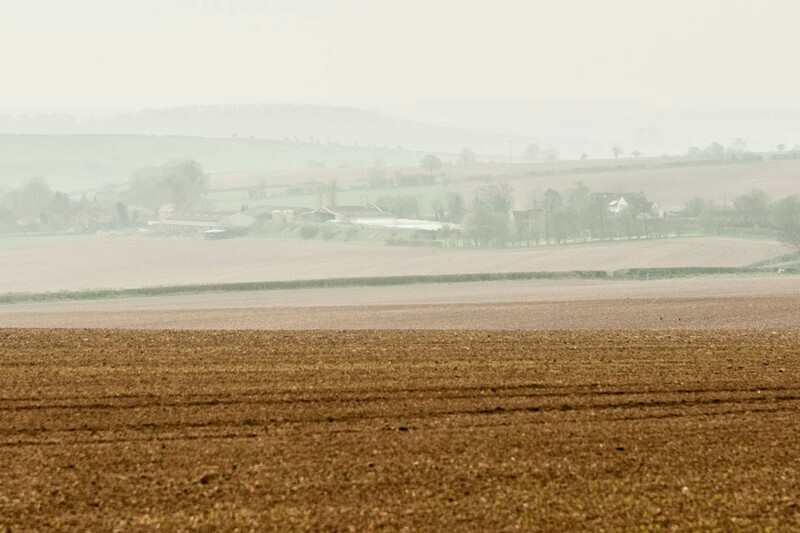 Hunts have helped guide us throughout this period and become a crucial member of our team. Nick has not always told me what I wanted to hear and that degree of honesty has proved invaluable to me as we move forward. We have been associated with Hunts Accountants for many years. They go above and beyond what is required not only in service but quality of advice. Their expertise in looking after our accounts is second to none. Part of the service we receive is quarterly meetings with them, which has enabled us to grow our business in a very competitive market and move quickly when required. Nick has built up a great team who look after us - why would we go anywhere else? Nick has been my accountant since the outset of my business in 1997, both of us as new companies. In this time Nick has always been open to ideas and professional with his advice, even if it wasn’t what I wanted to hear! 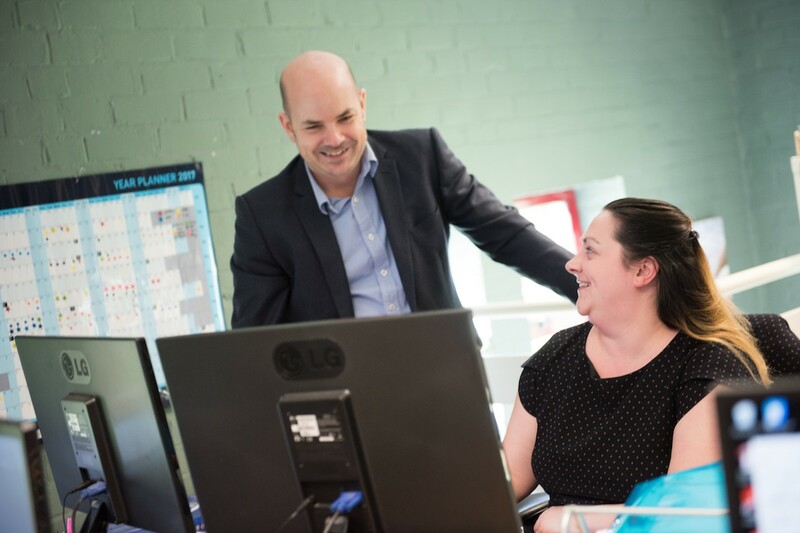 His innovative approach is always up to date, with a flexible working relationship which has been of great benefit to the progress of our business. I would have no hesitation in recommending him and his team for all areas of accountancy. We have not looked back since moving to Hunts. It has been so much easier to get answers to our questions and we value Nick's personal input when we invite him to contribute to our meetings. Nick's team has an excellent work ethic and it is a testament to him and his staff that they have recently had to expand into new offices. Hunts have been our accountants for the last three years and during this time we have found them to be very helpful, efficient and knowledgeable to our needs. Their business advice has been invaluable and has enabled our small business to continue to prosper through tough times. The service they provide is excellent, with friendly staff always ready to give that personal touch. I have used Hunts for the last fifteen years. I consider that a large part of the success of my business has been as a direct result of Nick's sound but imaginative advice. Whenever I have a financial issue I never hesitate to ring Nick for a chat and I always look forward to our meetings, he might be an accountant but he is never dull. 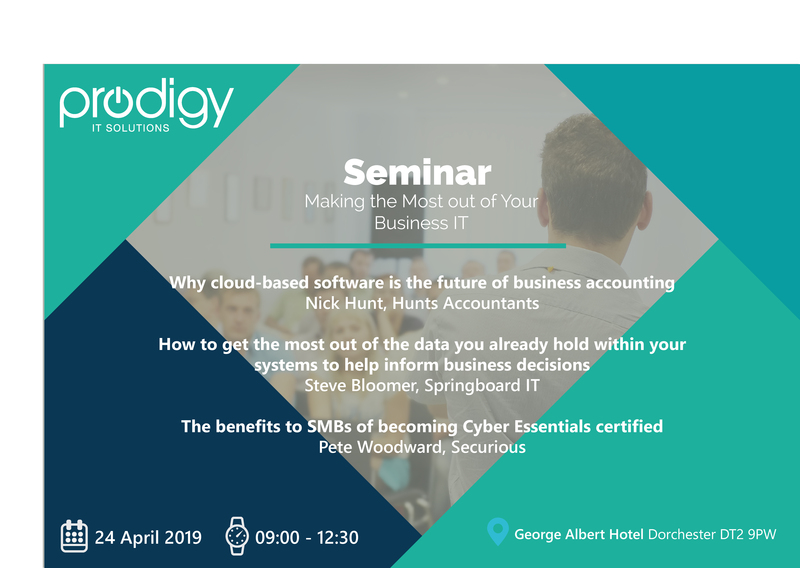 We are delighted to be speaking at the Prodigy IT's 'Making the most out of your business IT' seminar on Wednesday 24th April, at the George Albert Hotel. We'd be delighted if you could join us. To reserve your place please click here. We are always interested to hear from talented individuals looking to take the next step in their career. See below for details of our current vacancies. Full time Bookkeeper and business support executive. We are a progressive firm of accountants, who have enjoyed continued expansion over our 20 years in business. We are a professional company with a strong reputation, offering a high quality service, tailor made to our clients’ needs. 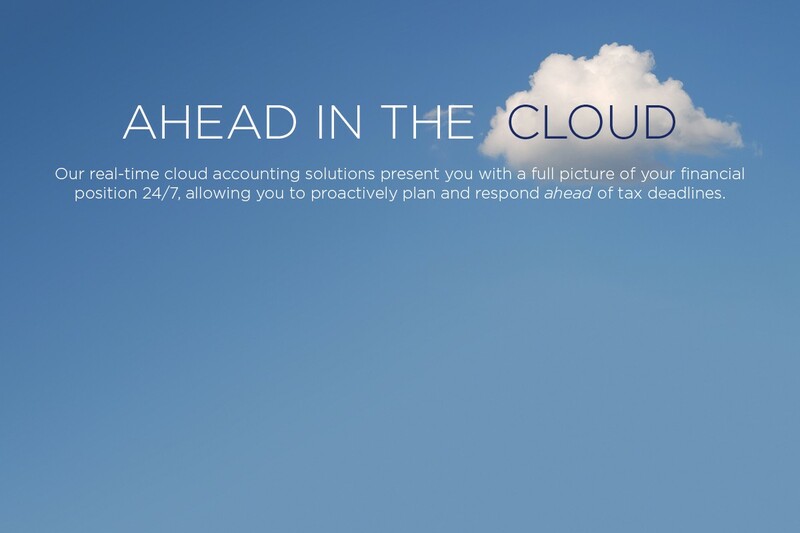 We believe that the future of accountancy will look very different and, as a result, we have heavily invested in the latest cloud technologies to enable us to best support our clients. We are now looking for someone with strong book-keeping experience to join our team. This new role will enable the successful candidate to work with a varied portfolio of clients providing them with new challenges and diversity every day. The ideal candidate will have; at least 3 years’ experience in a similar role, working knowledge of Sage, Xero and Quickbooks, knowledge of Microsoft Office, ability to prioritise own work load and work independently, strong communication skills, good attention to detail whilst also being able to work well under pressure and ability to work well as part of a team player. Payroll/CIS and VAT experience will be an advantage. We offer a competitive salary and company benefits.